Use WOW JF23 by spraying 2 to 4 times per application onto the targeted area and thoroughly rub it in for 30 seconds. Apply a second application in about 5 hours for continuous relief. Apply “WOW! JF23” three times on the first day, then twice a day for the next 10 days. You should notice an improvement each day. Daily use thereafter may be desired to minimize any muscle / joint stiffness andremain pain free. 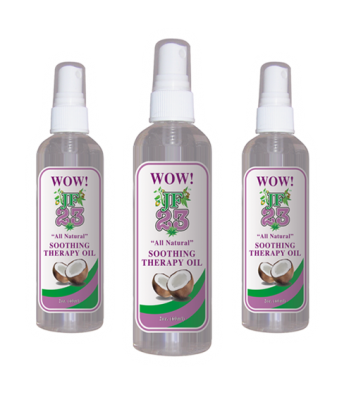 Sprinkle a few drops of “WOW! JF23” onto a cloth or tissue. Inhale the vapors through the nose and exhale through your mouth for sixty seconds. The vapor may make your eyes water and cause you to cough. This is a normal reaction and should stop within a few minutes. 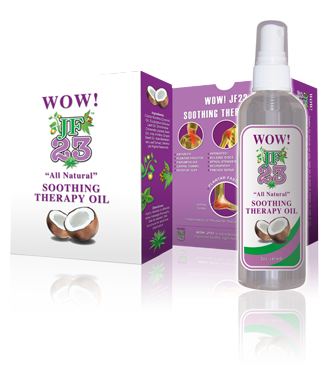 Sprinkle a few drops of “WOW! JF23” onto a cloth or tissue. Breathe in the vapors through the mouth while exhaling out of the nose for 30 seconds. Apply “WOW! JF23” directly to the affected area several times a day as necessary. In most cases, this will stop the infection. Apply “WOW! JF23” directly to the affected area. Repeat application several times a day as needed. Apply “WOW! JF23” directly to the affected area. If bandaged, you can apply the oil onto the bandage by saturating it. This method will cleanse the wound and stop the infection. Place a teaspoon of “WOW! JF23” into a container (tub) of warm water and soak feet for instant relief. You can also soothe sore feet by placing a few drops of oil onto a warm cloth and wrapping the cloth around your feet or simply spray directly and massage. Use with caution: Floor / tub may become slippery. Sprinkle “WOW! JF23” into the sauna while soaking. You’ll find it invigorating to the body, while clearing up sinuses. Add a few drops of “WOW! JF23” to your vaporizer. This will immediately make breathing easier and will often stop any coughing. If a vaporizer is not available, sprinkle a few drops of oil onto your pajamas or the edge of your pillow. * The “How To Use WOW JF23” information provided is for educational purposes only. Not meant to take the place of diagnosis and treatment by a qualified medical practitioner.